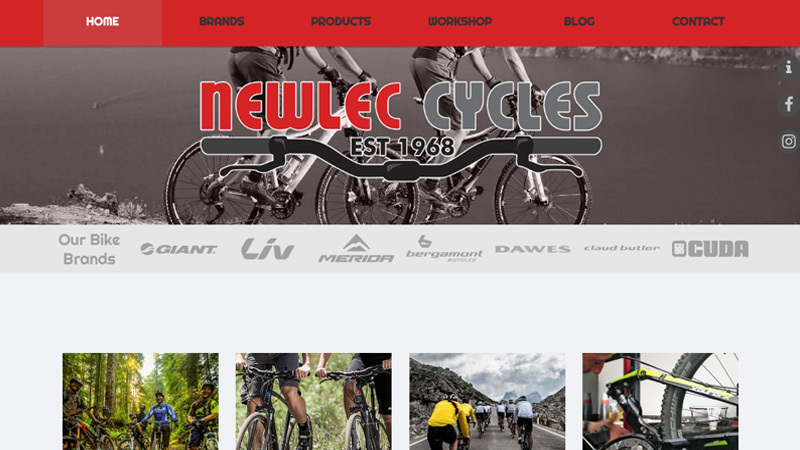 Launched in late 2017 Newlec Cycles is a long established business that left venturing online til quite late in the day. Regardless, thanks to our management of their website on a monthly contract throughout 2018 they went from strength to strength and have big plans for 2019. Initally the site was a simple static affair with no products listed however in 2018 the owners decided to add our product catalogue add-on to the site and drive in-store traffic by listing select bikes from their main suppliers and make them available via click and collect. For 2019 the online ranges were expanded and have resulted in strong sales growth and in-store traffic. We manage every aspect of the site including product listings.